Summer means hot dogs, ball games and sleeping under the stars, but it&apos;s also when we host the biggest birthday celebration of the year: Independence Day. And if you&apos;re looking for an All-American getaway that even the Founding Fathers would approve of, you&apos;ll find it in York County, Pennsylvania. In fact, the Second Continental Congress - with a crew that included signers of the Declaration of Independence like Samuel Adams, John Hancock and Robert Morris -- adopted the Articles of Confederation here in the City of York, or York Town as it was known during those revolutionary days, after the British forced them out of Philadelphia. The Articles of Confederation served as a precursor to the U.S. Constitution, and their adoption on November 17, 1777, was a nation-defining moment that&apos;s led York to style itself as the first capital of the United States (something historians might debate). No matter what side you take on that argument, York is still a go-to getaway when thinking of ways to honor our nation&apos;s founding. If you drop by, here are just a few ways to celebrate the red, white and blue this summer in York. The York County History Center pays tribute to the American Revolution at the Colonial Complex, which includes four historic buildings in York&apos;s charming downtown district. The political intrigue of the time comes to life at the Colonial Courthouse, a replica of the same building that was witness to the signing of the Articles of Confederation, and the General Horatio Gates House. The latter is where . 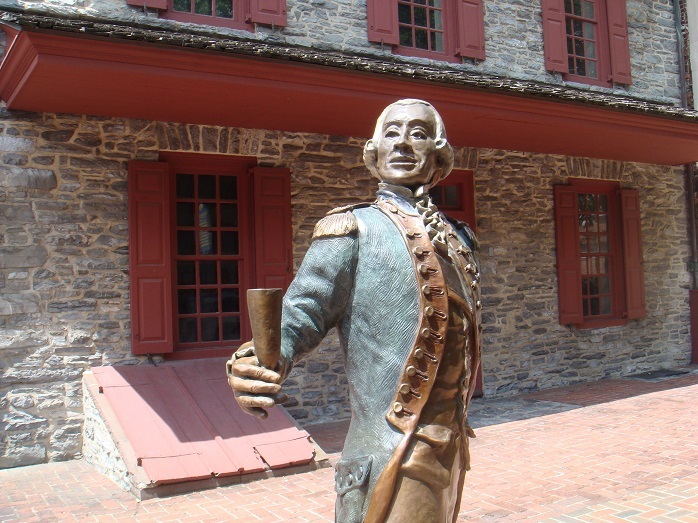 Today, there&apos;s a statue of Lafayette holding his drink high - a perfect spot for selfie. Guided tours of the Colonial Complex, which also includes the Golden Plough Tavern and the Barnett Bobb Log House are available and take 45-60 minutes. 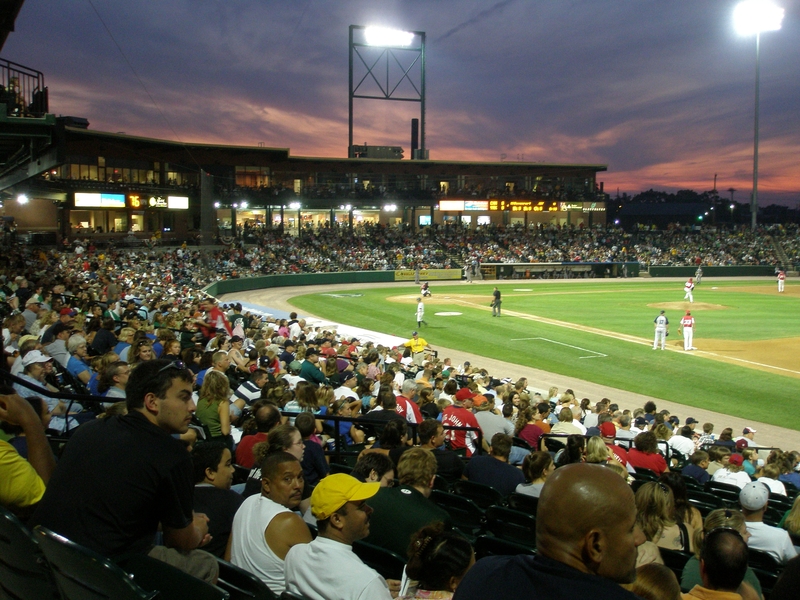 The aptly named York Revolution calls downtown home, and a trip to PeoplesBank Park comes with great independent league baseball and the family-friendly experience. The Revs have 13 home games in July so, there&apos;s plenty of time to catch a game. Join the team for an Independence Day celebration on July 1, featuring fireworks after the game. The July 20 contest against the Skeeters is also Sensory Friendly Night, meaning the cannon blasts will be on hold for guests sensitive to such loud noises. Or consider a visit on Gluttony Day on July 23 - a food frenzy for fans. While the Revs are on the road over July 4, you can still head to the stadium for some firework on Independence Day. July4York presented by York Traditions Bank will make PeoplesBank Park a patriotic partyland with fireworks, food, inflatables, music, games and more. The fun starts at 5:30 p.m. July 4. Few things are as American as a Harley, and you can see them made right here in the Factory Tour Capital of the World®. York County is home to one of only four Harley-Davidson manufacturing plants in the United States, and the facility features one of the Popular Mechanics&apos; 21 Great American Factory Tours. You&apos;ll go behind-the-scenes to see how these legendary bikes come to life on the classic tour. Plus, guests who&apos;d like a more intimate look at the craftsmanship behind these machines have the option of upgrading to the Steel Toe Tour for a cost. It&apos;s just one of many York County factory tours that showcase American ingenuity. 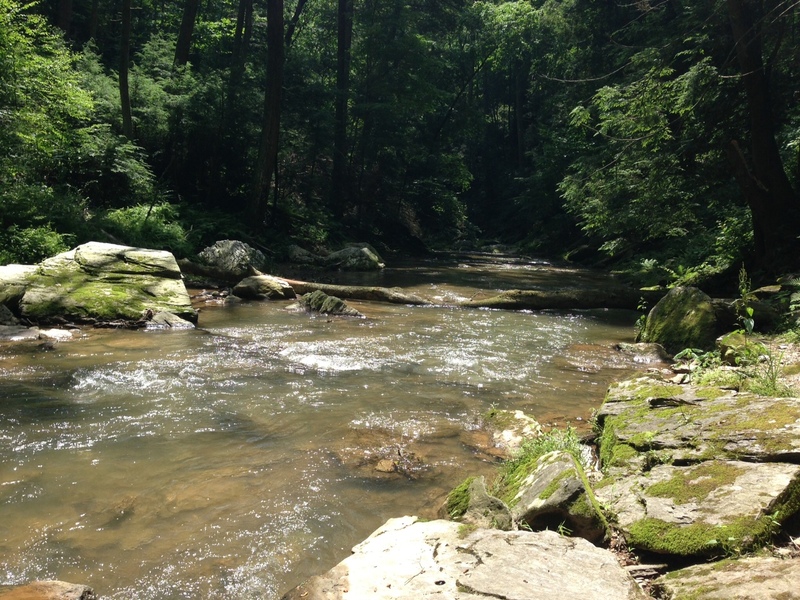 York County is home to 11 county parks and three state parks, all with their own unique American stories to tell. For example, P. Joseph Raab County Park was once home to the York Iron Co. Mine, which produced some of the best iron ore during the 1800s. The mines, listed on the National Register of Historic Places, are closed today but the park features 1.5 miles of trails perfect for a summer hike. Oh, and don&apos;t be surprised to meet some of the park&apos;s inhabitants. The former mines are home to four species of bats, which use the space for winter hibernation. After a day exploring outside, cool off with an ice cold craft beer at one of the stops on the Susquehanna Ale Trail. The trail is a self-guided, year-round tasting adventure and home to a creative collection of craft breweries all around Central Pennsylvania. You&apos;re certain to find something fitting your taste, but if you&apos;re looking for the perfect brew to celebrate our country&apos;s independence, consider Aldus Brewing&apos;s American Blonde Ale! Make it a getaway and stay over - outdoors! When you&apos;re planning your All-American getaway to York County, consider spending the night under the stars at one of our many campgrounds. Gather with friends and families around a campfire and share stories into the night. Don&apos;t forget to pack the marshmallows! We're the York County Convention & Visitors Bureau, the Official Tourist Promotion Agency for York County, PA! We're happy to help you plan your getaway to York County. Stop in one of our Visitor Information Centers and talk with one of our travel counselors or call 1-888-858-YORK.